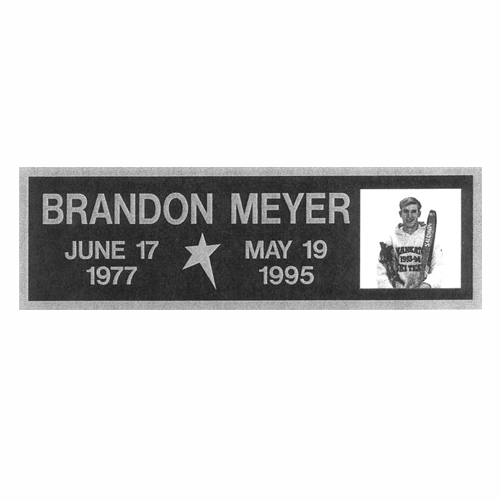 Once your order has been placed you will receive a form to complete the customization of your memorial plaque. Personalized memorial bronze plaque, size is 11 1/2 x 3 1/2 inches, raised block style letters and raised border, semi-gloss with a satin finish, this is placed on the One Bright Star children’s memorial wall in Erlandson Park, Mankato, MN. Options to customize include a small emblem between the birth and death date and photo or small emblem between birth and death date and symbol. 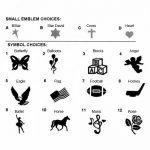 Small emblem choices include: Star, David Star, Cross and Heart. 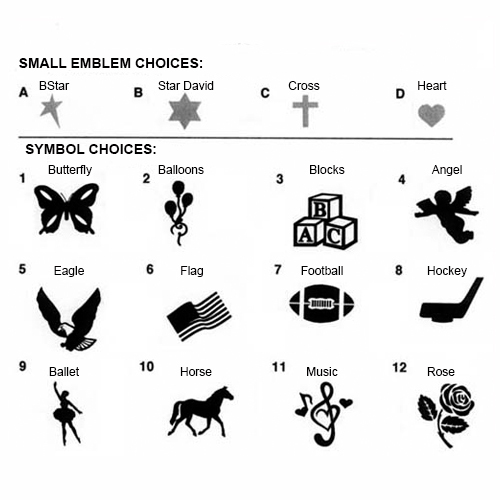 Symbol choices include: Butterfly, Balloons, Blocks, Angel, Eagle, Flag, Football, Hockey, Ballet, Horse, Music and Rose.